The Trojans made an inspired choice when they hired Kiffin. His 2011 team went 10-2, and was ranked #5 in the nation by AP. His teams have largely avoided the taunting, personal fouls, and unsportsmanlike conduct penalties that marred the otherwise successful years under Pete Carroll. Kiffin’s care for his players shows in Barkley’s remarkable decision to defer fabulous wealth to play for him, and equally in Kiffin’s earlier reaction to Kalil’s decision to turn pro. Kiffin’s support for Kalil was in stark contrast to Pete Carroll’s ungracious comments when his star quarterback, Mark Sanchez, announced for an early jump to the NFL. 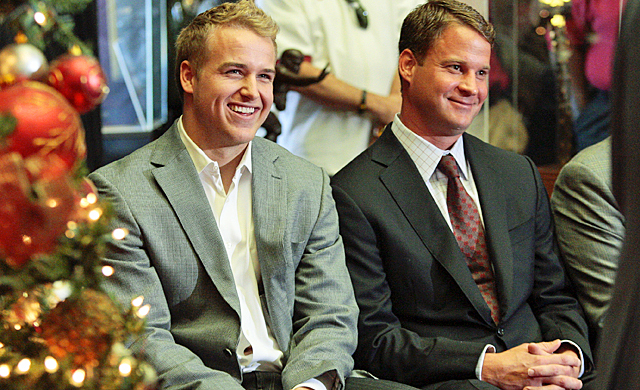 Kiffin’s leadership is an example of why it’s a pleasure to transfer allegiance from pro football to college ball. There are many other coaches who teach ethics and sportsmanship, foremost among them my favorites, Chip Kelly at Oregon, Brian Kelly at Notre Dame, and Les Miles at LSU. This entry was posted on December 23, 2011 at 5:39 pm and is filed under Ethics-general, Sports. You can follow any responses to this entry through the RSS 2.0 feed. You can leave a response, or trackback from your own site. 2012 Heisman winner. Nuff said. The 2012 success isn’t guaranteed–it’ll depend on dedication and some luck. Right now I think a poll would rate the Trojans #1.